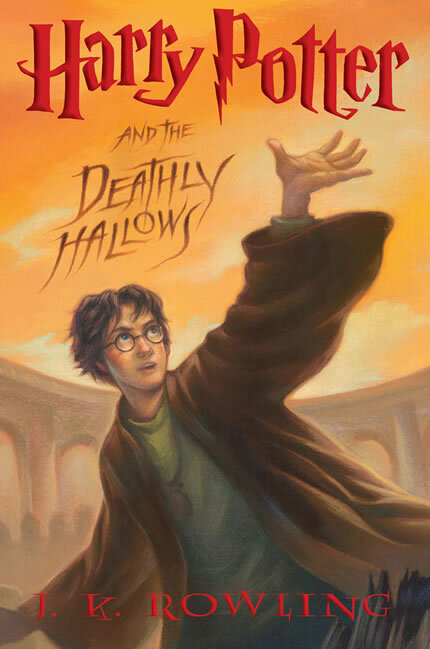 While on my little vacation (as a self-employed professional, it’s very little indeed; but at least I am in a different place from where I usually am, and getting a little sun and fresh air) and I just had the opportunity to finish Harry Potter and the Deathly Hallows. I liked it a lot, was very touched at a number of junctures, and feel that I was well treated by the author. The series is, above all, about love. Not hardly romantic love, though more so the love among friends. But mainly it is about the love that flows from parent to child and, perhaps, from surrogate parent to child. The vehicle for the expression of love in the series is loyalty. Now, one can be loyal without love, and perhaps one can even love without excelling at loyalty; but here the true test of love is not passion, or ecstasy, or warm fuzzy feelings, but loyalty — and the sacrifice that in turn is what loyalty demands. Voldemort, of course, epitomizes the antithesis of loyalty. In fact, it is quite clear in the interstices that Rowling is no atheist nor even, like most of her countrymen, contemptuous of religion or, certainly, the concept of the immortality of the soul. As we drill down, I consistently read a lesson whereby readers, who are mostly young people, are exposed to the difficulty of maintaining loyalty to persons, as well as fealty to one’s putative guiding principles, in the face of the complex and shifting interplay of choices, motivations, and limitations provided by life. For this reason, I reject the suggestion that the Harry Potter story is a fairytale, and I think that teaching this lesson — along with the corollary that follows — is a signal achievement of the books. Similarly, even the Great Man, Dumbledore, is seen as a flawed, brilliant creature. The best characters in Harry Potter are humble; the worst display the opposite trait. I don’t think Rowling flinches from calling evil what it is; but she is not simplistic, and even Voldermort is understood as a person with severe choices and great talent, who unfortunately for all uses the latter poorly when faced with the former. Thus while he is a wicked character through and through, he is not a cardboard cutout. Again, Dumbledore is the opposite. While he has made serious mistakes that have hurt others, he acknowledges them with remorse, and thereby becomes a better character. This is only something that humility can achieve. And with humility, there is always forgiveness. Harry, Ron and Hermione — but above all, of course, Harry — have much to resent, but there story is not about the bearing of grudges or evening of scores. Quite to the contrary. I am sure someone is preparing his Ph.D. on the political philosophy of Harry Potter. Clearly that person will write about Rowling’s consistent distrust of accumulations of power, and in particular of state power and bureaucracy. I can hardly imagine a Briton succeeding with a series of novel demonstrating that level of contempt for the state a generation ago, when statism was actually admired on those shores. She has a keen eye for the underground economies that flourish below the rocks of officialdom. But she is most devastating and Orwellian in her demonstration of how the ship of state easily tacks with the tides of truth and lie, adopting the official version of the world as befits the ultimate survival and flourishing of the bureaucracy. To some extent even the semi-heroic Arthur Weasely is a morally suspect character, going to work in the machine that has called day night and night day, collecting his check and supposedly working — impotently, really — to change things “from the inside.” She is clearly contemptuous of indulgent reformism that regards everyone as inherently good but needing only education and kindness to stay on the straight and narrow, as epitomized by the official “see no evil” philosophy of the Ministry of Magic. Her social philosophy is a bit mushier. In the last book, with its Nuremberg-like racial obsessions and oppression, she arguably goes over the edge with the Nazi Germany parallels, which don’t necessarily make perfect internal sense. Is every “good German” really a Nazi — in other words, are we to understand that Professor Umbridge, whom we though of as merely a “just following orders” functionary with a numbed moral sense, was really a Death Eater (i.e., a blackshirt) all along? Did she become one when the moment was right? Whereas Rowling writes with subtlety and depth about the personal choices and dilemmas of the main characters, here she leaves us short. At the same time she does some good demonstrating that even the supposedly “good” Wizarding society stands atop a “racial” or “speciesist” hierarchy that is far from just itself — a fair if somewhat heavy-handed analogy to Western societies that defeated Nazism with segregated armies and home fronts. As to the narrative, it is not seamless, and of course there are times when exposition has to come in through the front door a bit ploddingly; but look at the world she built, and the time she built it in. It is a marvel, and, as I have tried to demonstrate above, I believe she has taught a lot to readers who might not otherwise be exposed to grown-up questions about life and love. I will miss Harry.